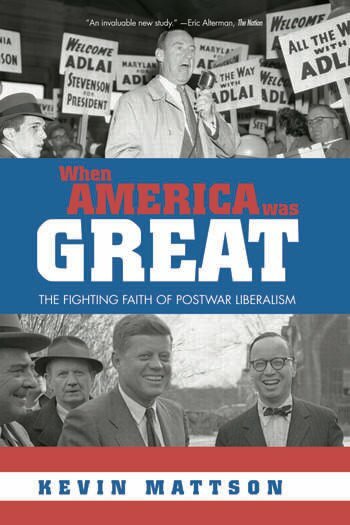 A sweeping intellectual history that will make us rethink postwar politics and culture, When America Was Great profiles the thinkers and writers who crafted a new American liberal tradition in a conservative era -- from historians Arthur Schlesinger, Jr., and C. Vann Woodward, to economist John Kenneth Galbraith and theologian Reinhold Niebuhr. A compelling tale that will redefine the word "liberal" for a new generation, Mattson retraces the intellectual journey of these towering figures. They served in the Second World War. They opposed communism but also wanted to make America's poor visible to the affluent society. Contrary to those who characterize liberals as naïve or sentimental "bleeding hearts," they had a tough-minded and nuanced vision that stressed both human limitations and hope. They felt America should stand for something more than just a strong economy.